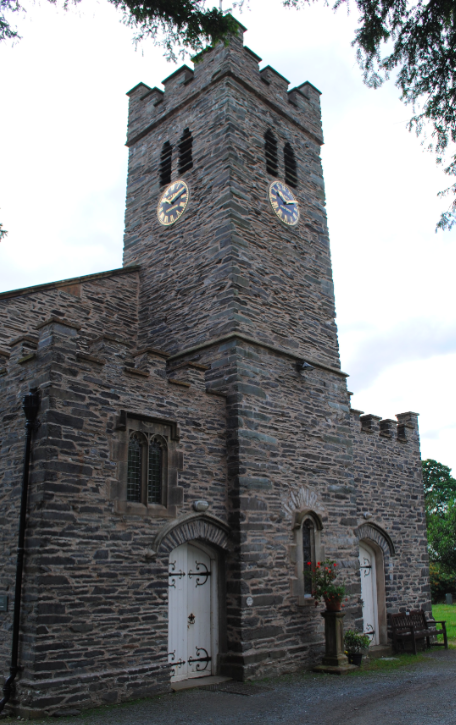 St Andrew’s Church in Coniston replaced a former church dating to the 16th century. 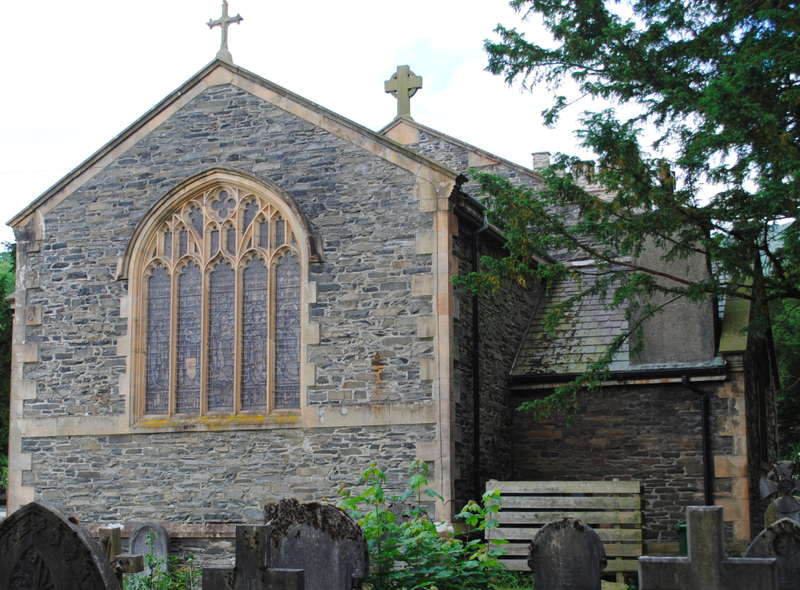 The present church was built in 1819 and constructed of slate with ashlar dressings and slate roof. The building features a west tower with embattled parapet, clock and paired stone-louvred bell openings. The porches, vestry, organ loft and chancel were added in 1891. 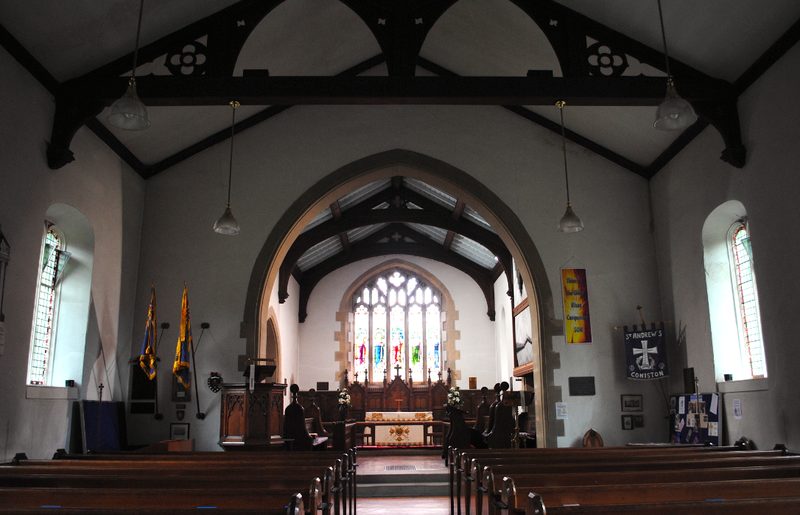 The chancel features a five light mullioned window with perpendicular tracery, stone quoins and coped gable. 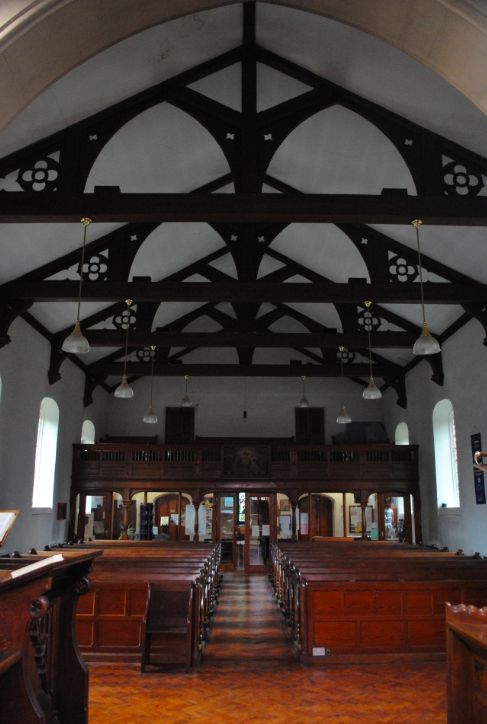 The church features king and queen post trusses with decorative bracing and a west gallery with balustrade and cornice. The church is Grade II Listed.